What is a healthy amount of sugar for one person to consume in one day? The WHO (world Health Organization) recommends 5% of daily calories come from sugar. For the average adult this is equivalent to 6 teaspoons or 25g. What are the ‘symptoms” of becoming addicted to sugar? Excessive cravings for sugary processed foods/snacks and caffeine when feeling an energy crash. 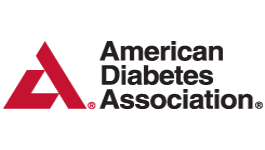 Low and high blood sugar fluctuations resulting in a diagnosis of pre-diabetes or a diagnosis of Type 2 Diabetes. Feeling calm, and relaxed after consuming a meal or snack that contained sugar. Are there any withdrawal symptoms after being addicted to sugar for a long period of time? Headaches, irritability, possible skin breakouts in the first few days of “sugar detox.” Long term there are no side effects. Besides one sugar being healthy for consumption, versus, another type of sugar mixed with various chemicals; what are the differences between ‘good’/real sugar and ‘bad’/artificial sugar in a person’s diet? 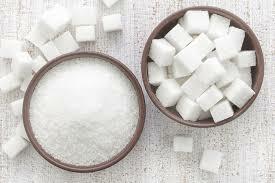 Both real and artificial sugars/sweeteners are harmful if consumed in excess. Some of the chemically altered artificial sweeteners have been linked to an increased risk of cancer, and increased likelihood of developing type 2 diabetes if consumed regularly. When artificial sweeteners are consumed, the pancreas does not know the difference of “sweet” when the pancreas taste something sweet (calories or no calories) so it sends a message to the brain to release insulin. It may not be as much, but it still disrupts the optimal metabolic function of blood sugar regulation. It is common to have a great reduction in sweet and carbohydrate cravings after giving up sugar both artificial and natural sources. If there are certain foods you would like to add a sweetener to, use an all-natural stevia sweetener, or a small amount of raw local honey. Stevia is not chemically altered and is okay to consume in moderation. Does a spoonful of sugar really help the medicine go down? (a reference to the Mary Poppins song “A Spoonful of Sugar”) Absolutely not, sugar actually feeds and breeds viruses and bacteria making cold and flu symptoms worse in most cases. Sugar is the best thing to reduce for a stronger immune system and gut function. Is there any other information you would like people to know about the effects of sugar? With the increase in Type 2 diabetes, sugar is actually just as harmful on our bodies as alcohol is to an alcoholic. The amount of sugar the average American consumes, will eventually cause a “non-alcoholic fatty liver” resulting in poor liver function in later years of life.